A Baltimore man is a $50,000 Bonus Match 5 winner because of two habits he abandoned in November. The 28-year-old, who prefers not to deal with change, generally doesn’t use cash for purchases and almost never plays the Maryland Lottery. On November 4, however, he made a cash purchase at a Royal Farms store in Middle River and got his change in the form of a Bonus Match 5 ticket. 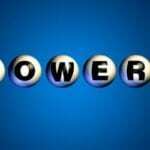 That $1 quick-pick ticket for a drawing later that evening would win $50,000, but the holiday season would come and go before he would discover his luck. His dad is a regular Maryland Lottery player. He told his dad about buying a ticket and then time passed. “I forgot I had purchased it,” he said. On January 13, his father asked the novice player about the ticket. The surprise came when the dad reported the value of the ticket. “I told him he was full of [it],” recalls “Surprise Win!” His dad, however, was spot on. 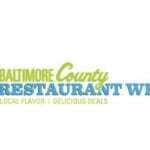 Also enjoying the good fortune is the Royal Farms located at 9600 Pulaski Highway in Middle River. 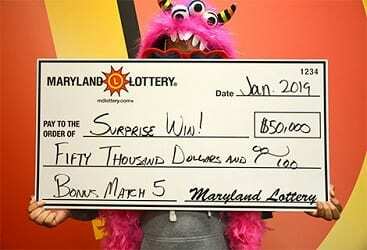 The Baltimore County retailer earns a $500 bonus for selling a top-prize Bonus Match 5 ticket.